Engraved Amore Wedding Cake Knife. 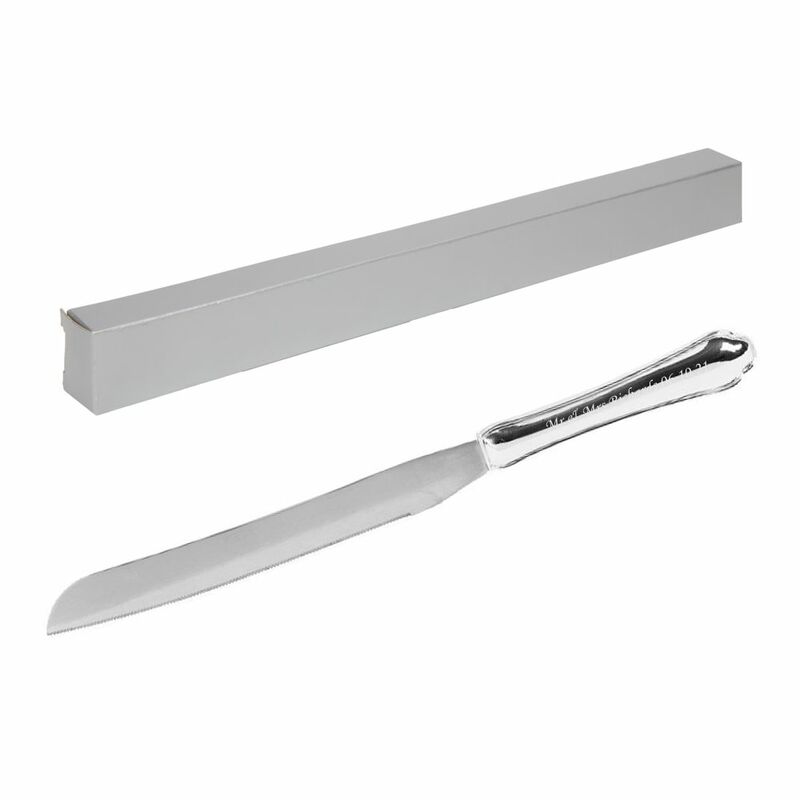 This beautiful silver plated knife has entwined ring detail on the handle and measures 33 x 2cm. It comes complete in a gift box with gift pouch and a gift tag. The engraving will be done on the handle of the knife.